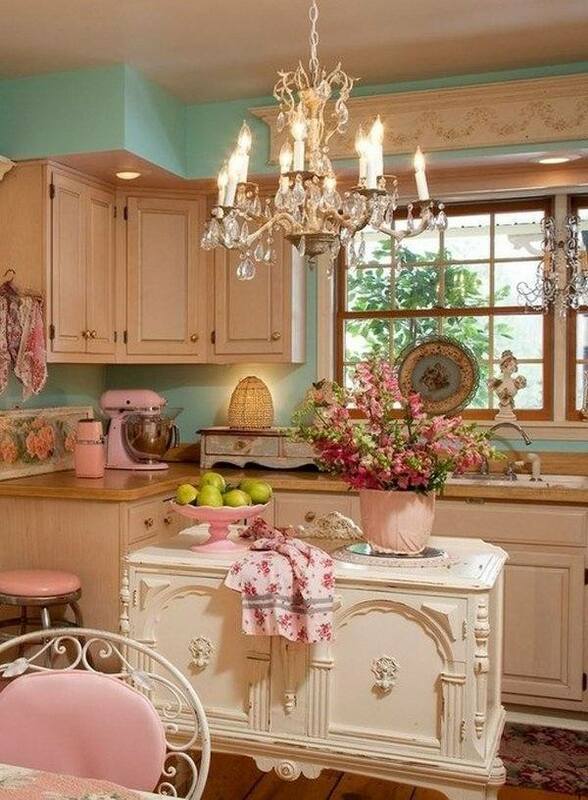 The style Shabby Chic with its characteristic materials, colors and shapes can revive the charm of the days gone long back. 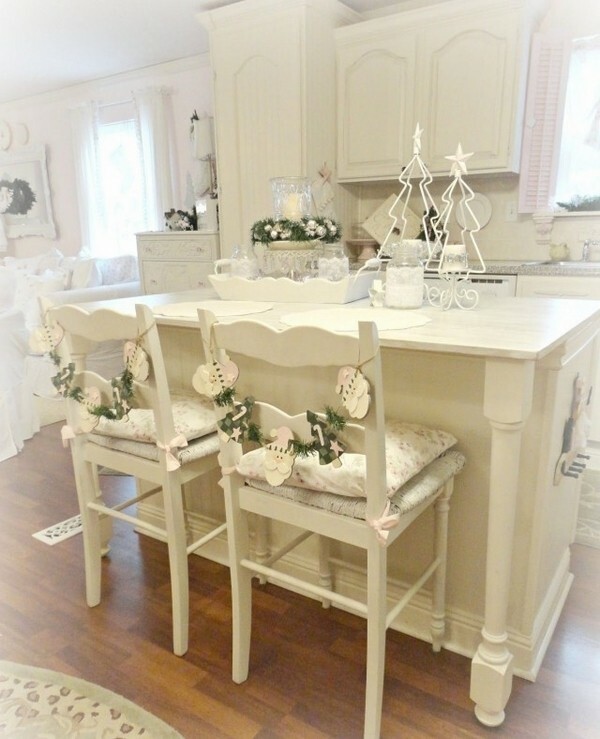 Shabby Chic is a combination of old and new, and has a long tradition in the Scandinavian countries and the UK. 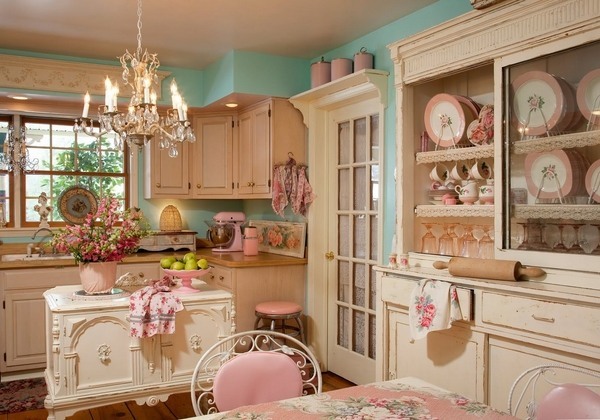 A Shabby Chic kitchen is characterized with delicate colors, shimmering accessories and antique furniture with signs of wear. 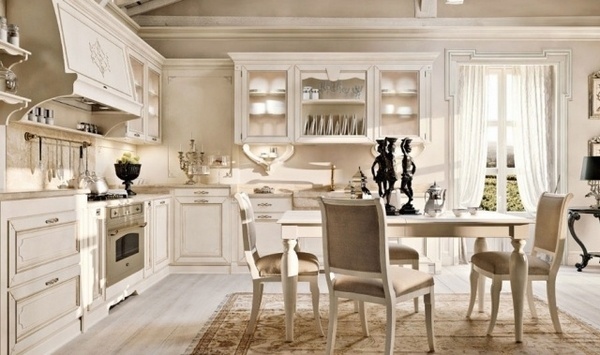 Add to this a distinctive elegance and a romantic, feminine touch. 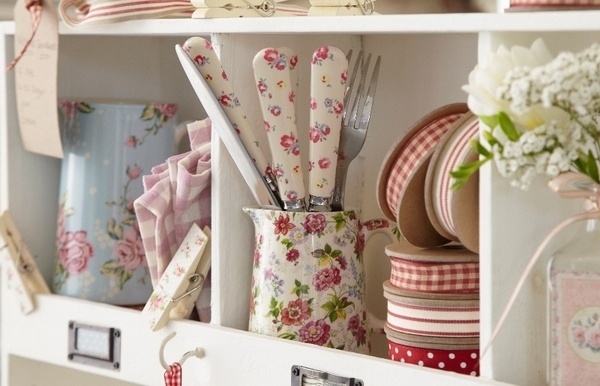 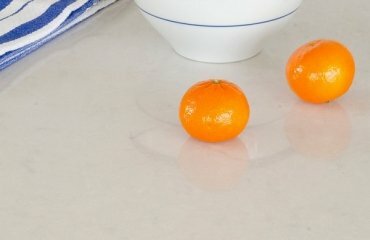 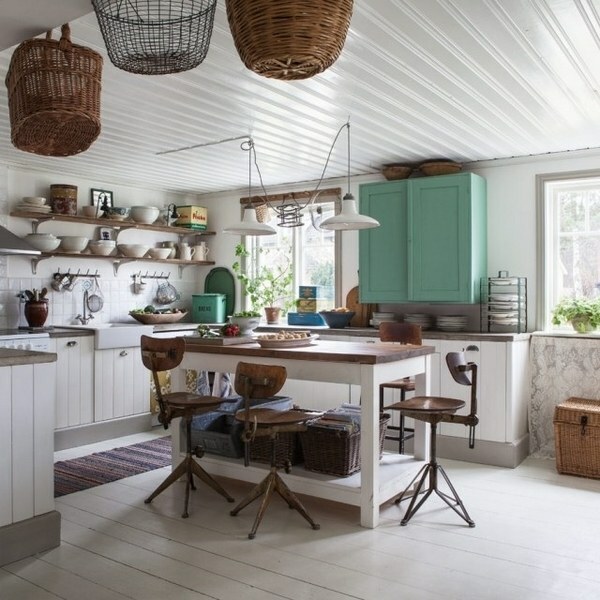 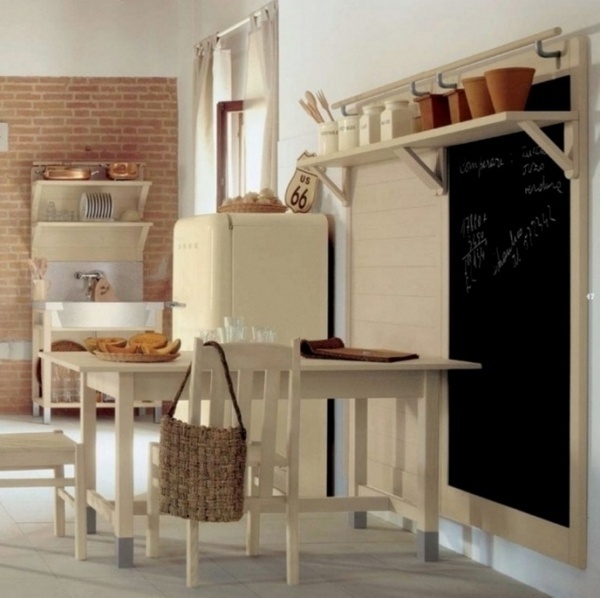 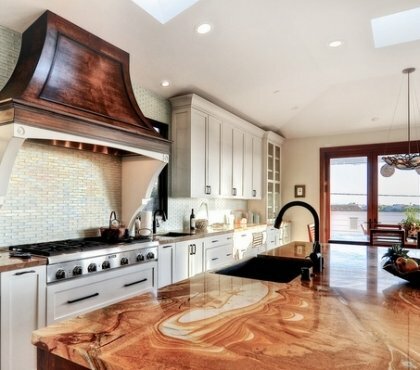 We have compiled 20 ideas to help you make your kitchen shine with a lovely vintage charm. 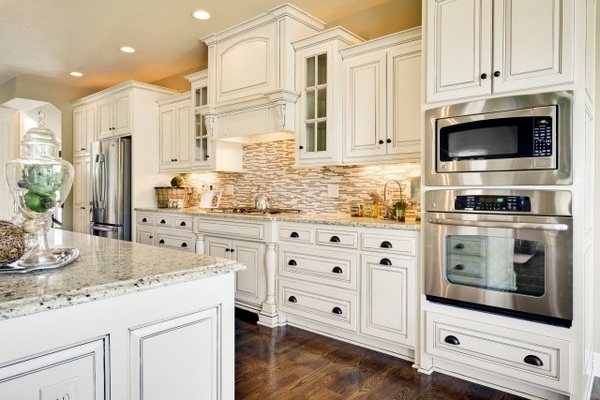 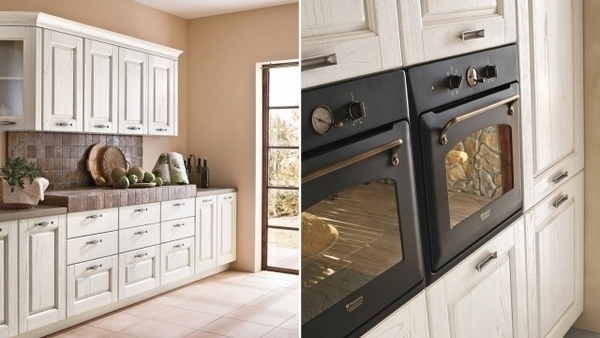 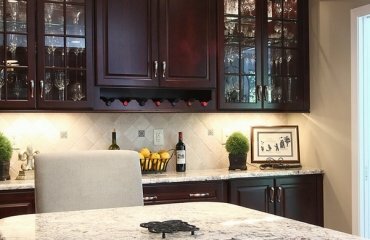 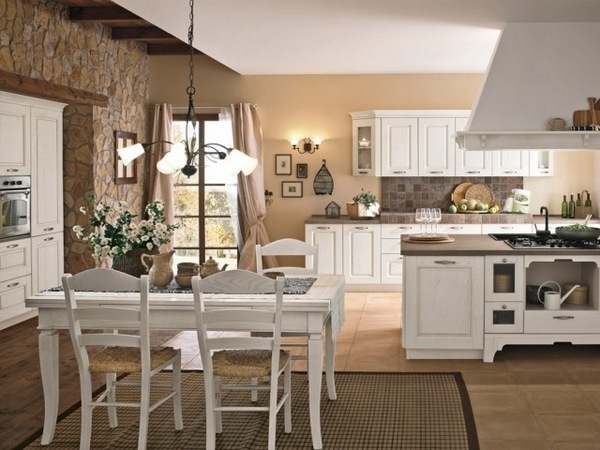 A Shabby Chic kitchen can be instantly recognized for the wood cabinets and a ceramic sink. 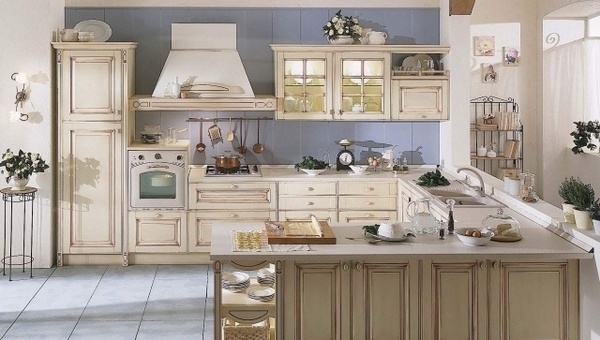 A buffet cabinet is a classic furniture piece. 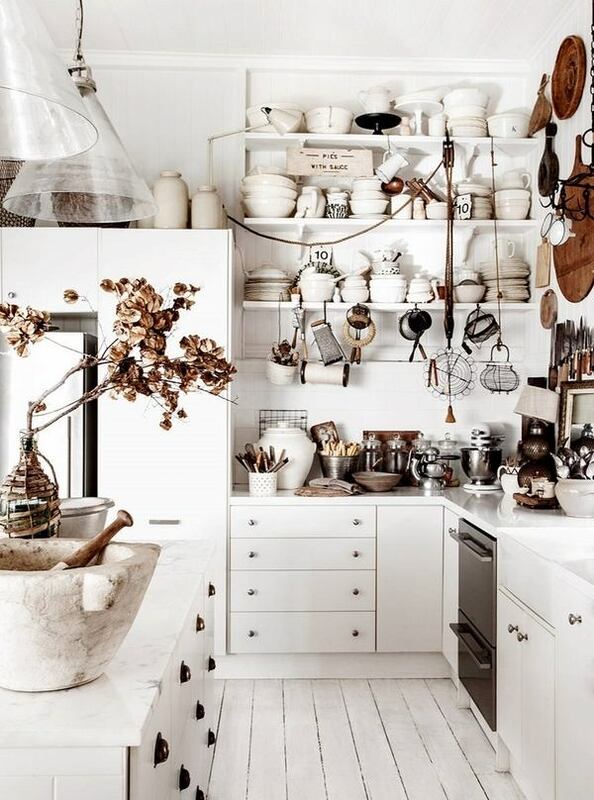 Valuable accessories that give a special character to the room are often used as decoration, too. 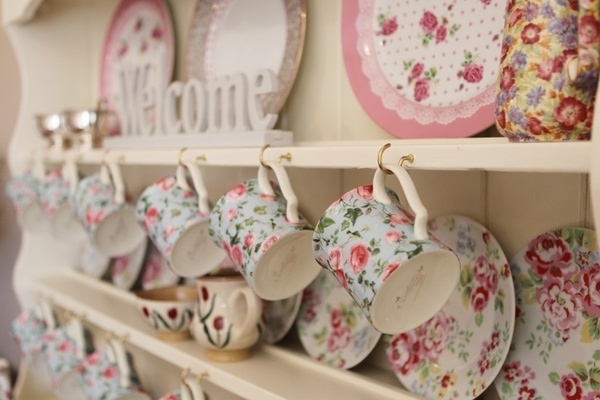 Family items with emotional value, hand crafted and homemade items, antiques and flea market finds – all these are a part of the Shabby Chic decor. 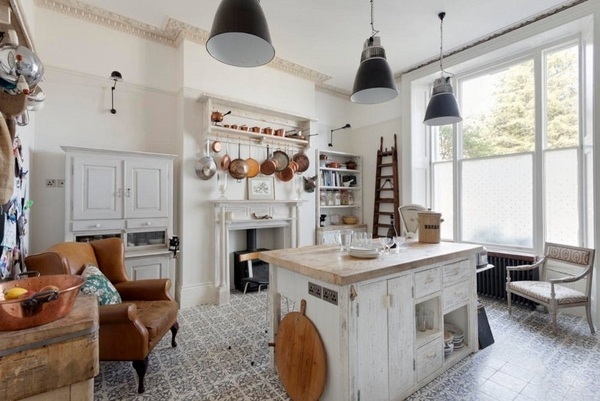 A chalkboard, wooden chairs, Oriental rugs and copper pots complete the vintage look. 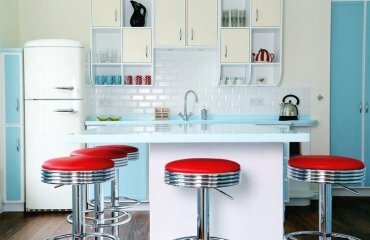 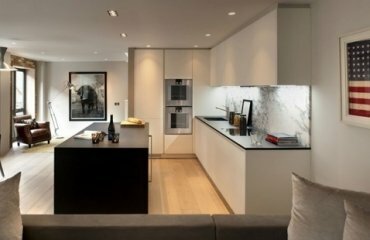 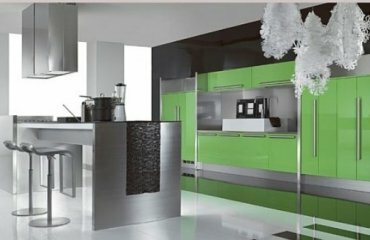 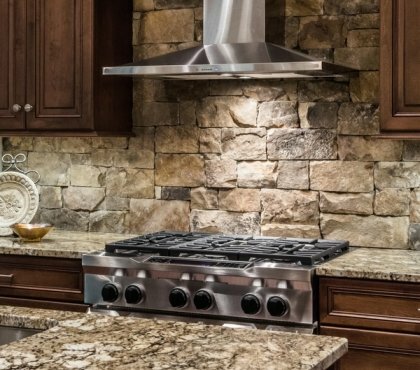 In a Shabby Chic kitchen you have to avoid glossy cabinets finish and stainless steel surfaces as they are not really suitable. 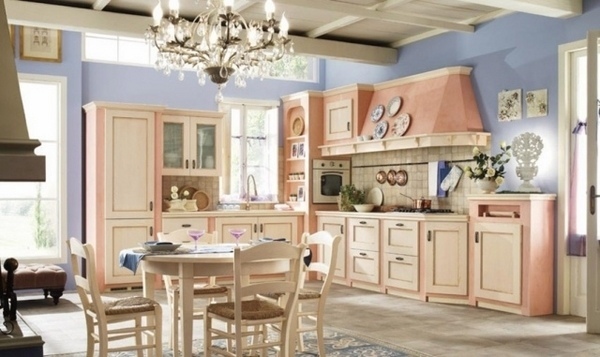 Bright and muted colors, delicate pastels, beige, vintage white combine very well with tender pink, sky blue, yellow and turquoise. 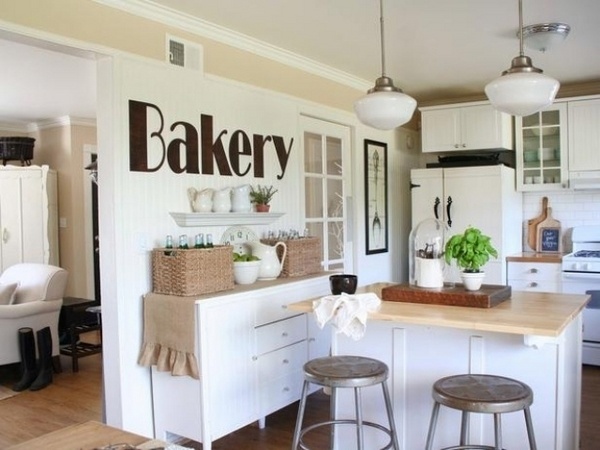 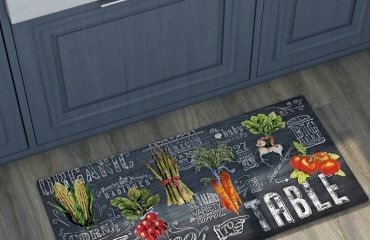 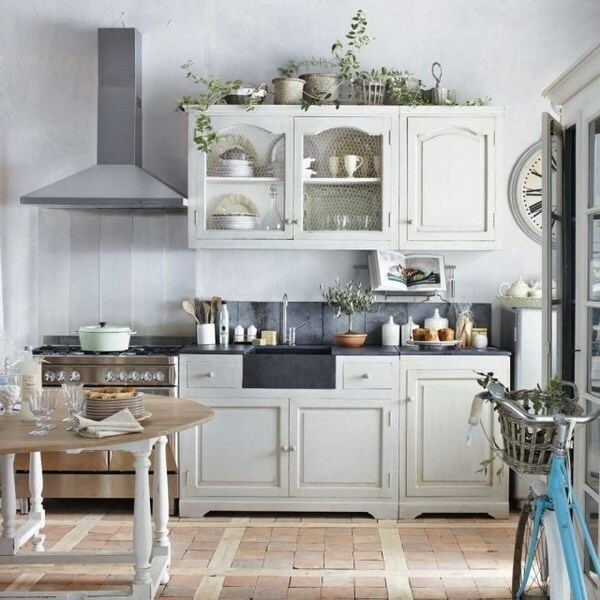 A Shabby Chic kitchen should be comfortable, welcoming and cozy. 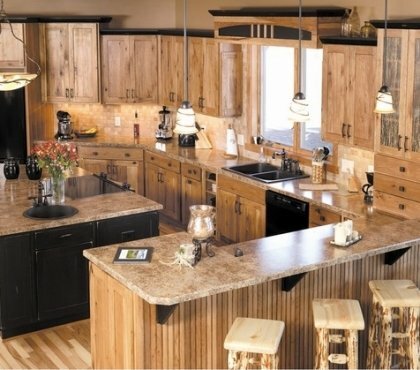 Natural materials such as wood and metal are used, which you can mix as you wish as they always work together very well. 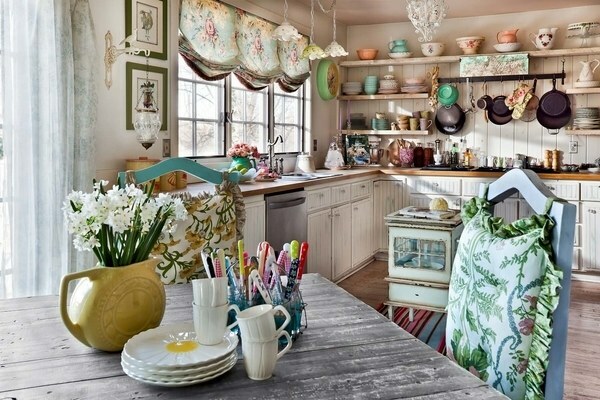 Soft fabric such as velvet, silk and cotton are the perfect upholstery for your sofa or breakfast nook bench. 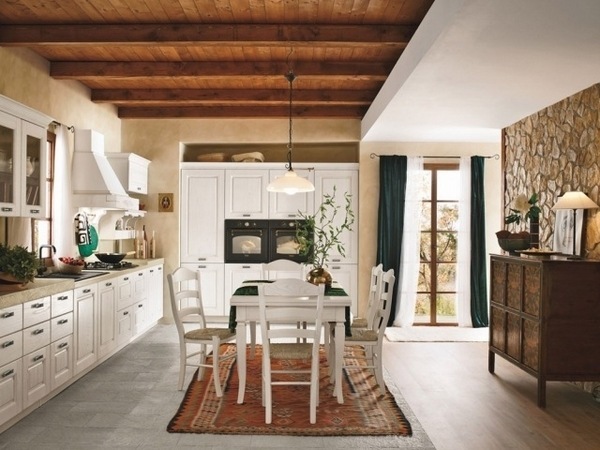 The walls can be covered with wallpapers, for example, with romantic floral motifs, checks, stripes and dots blended discreetly with the overall concept.